The meteoric rise of plus-size women have paved the way for several positive body image campaigns that empower women to embrace their curves, love themselves and to not be affected by the criticisms made against their size or shape. These are also meant to raise awareness about stopping fat shaming. 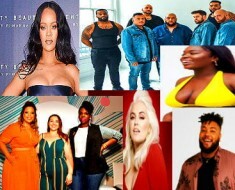 Some of these popular campaigns were spearheaded by prominent personalities known to the plus-size industry such as Tess Holliday with her #EffYourBeautyStandards, Linda Heasley’s #ImNoAngel and most recently the “Drop the Plus” by Arjay Rochester and Stefani Ferrario. Another positive body image campaign that also made headlines recently is the brainchild of Fashion blogger Jes Baker. 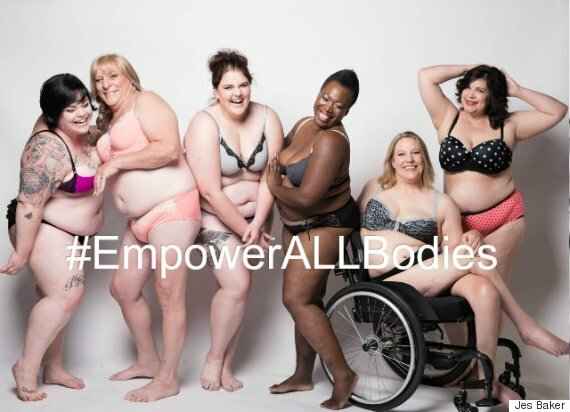 This body love activist, who runs the fashion blog The Militant Baker, launched her #EmpowerALLBodies campaign. Her campaign, which was shown as a photo series, was in response to Lane Bryant’s campaign #ImNoAngel. Baker expressed disappointment in the campaign, stating that the campaign lacked diversity. She expressed through an open letter to Lane Bryant CEO Linda Heasley that the campaign presented the ‘ideal’ plus-size body, which is hourglass and can be perceived as “healthy, cellulite-free, able-bodied and conventionally beautiful”. Baker gathered a group of diverse models, including herself, and worked with photographer Jade Beall to showcase how a ‘true’ diverse plus-size underwear campaign should really look like. Both her blog and campaign were even featured on CNN, ‘Today’, and BBC along with other major media outlets. A marketing writer for several years, I have recently shifted my focus into entertainment. I have been working as a freelance writer for Explore Talent for more than a year now.